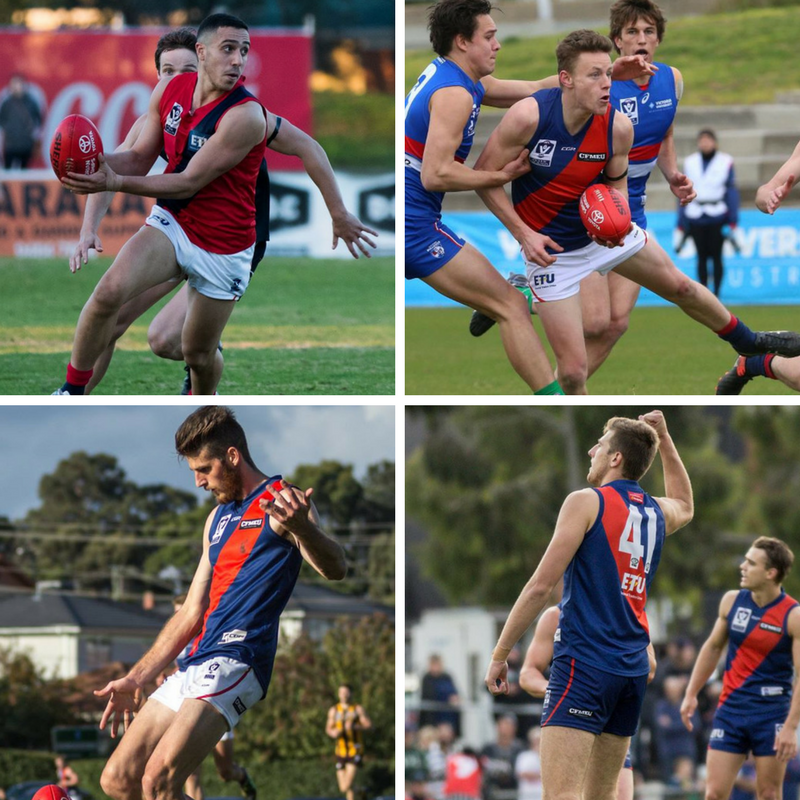 As seen in our newsletter ‘The Roar’ sent out exclusively to subscribers last week, Coburg Football Club are delighted to announce that Hisham Kerbatieh, Ryan Exon, Sean Gregory, & Mark Kovacevic have all committed to the club ahead of the 2018 season. A former Calder Cannon, Kerbatieh crossed from Northern Blues for season 2017. After an injury late in the pre season, he made his club debut in round 2 against Box Hill & managed 22 goals from 15 games. His best performance of the season came in the round 18 win over North Ballarat where he had 25 possessions and kicked 2 goals in the process. Going into his second season with the Lions, Kerbatieh will look to further improvement. Deciding against returning to Frankston, Best & Fairest Runner-Up Ryan Exon had his best season in the VFL in 2017. Either playing as a lockdown defender or a tagger, he managed 17 games and was named among his coaches best 12 times, the most of any player in the competition. The former Box Hill Premiership player was given run with roles with many opposition big names, restricting their impact on the game in the process. Entering his fifth season in the VFL/AFL system, Sean Gregory was also entering his third season at Piranha Park, and despite missing one game due to injury, the key defender was rewarded for his career best season with VFL Team of the Year Selection at Fullback, restricting many AFL listed opponents’ impact on the contest. He was named among the Coaches best seven times. After his promising finish to 2016, Mark Kovacevic would provide handy back up to Tom Goodwin in the ruck early in the season- only to be hampered by injuries. The former Calder Cannon sustained an ankle injury in Round One, and then after finding his feet on return, suffered a devastating ACL rupture only minutes into the Round Eight clash with the Northern Blues at Preston City Oval. Mark has been doing everything possible throughout his rehab to ensure he will be on track for a mid year return in season 2018. Stay tuned for more announcements regarding our list management updates regarding current players & new recruits. To get all the Exclusive News, and up to date information instantly, please subscribe to ‘The Roar’ here where you can view all the up to date information as it happens, from new player signings, to new sponsorship announcements, and upcoming club events and functions.